Here is one of the less-interesting photos I took today of some cows near an apple tree in China, Maine. Less-interesting, that is, until I collaborated with Robert Frost. 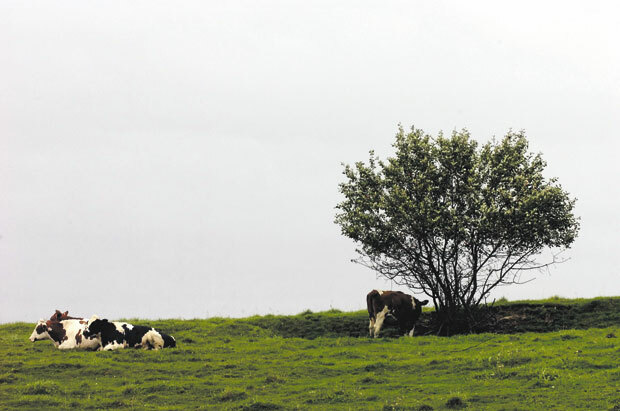 Cows rest near an apple tree in a China pasture. Her udder shrivels and the milk goes dry."